The Coney Island Community Kitchen serves hot meals to the public every Wednesday and Friday evening between 6:30-7:30 PM. Our chef prepares a wide variety of dishes from different cuisines each week. 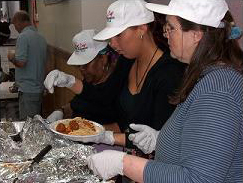 A voluntary religious service often follows each meal. 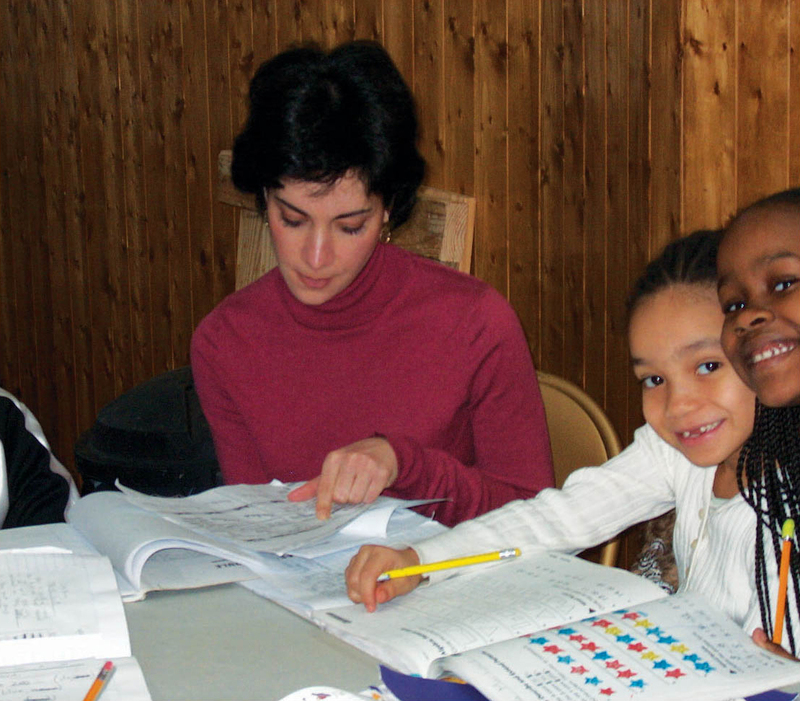 The Community Kitchen also serves hot snacks every school day to the students in our after-school program. Clients may come either day once a week to pick up free bags of groceries that provide three meals a day for three days for three people. Each bag contains a balanced mix of foods for several family meals. Our groceries come from the Food Bank for NYC HRA and City Harvest as well as private donations of beverages, snacks, and other items. This is an excellent opportunity for clients to get information on benefits such as food stamps, Medicaid, public assistance, and discounted MetroCards and determine if they are eligible. 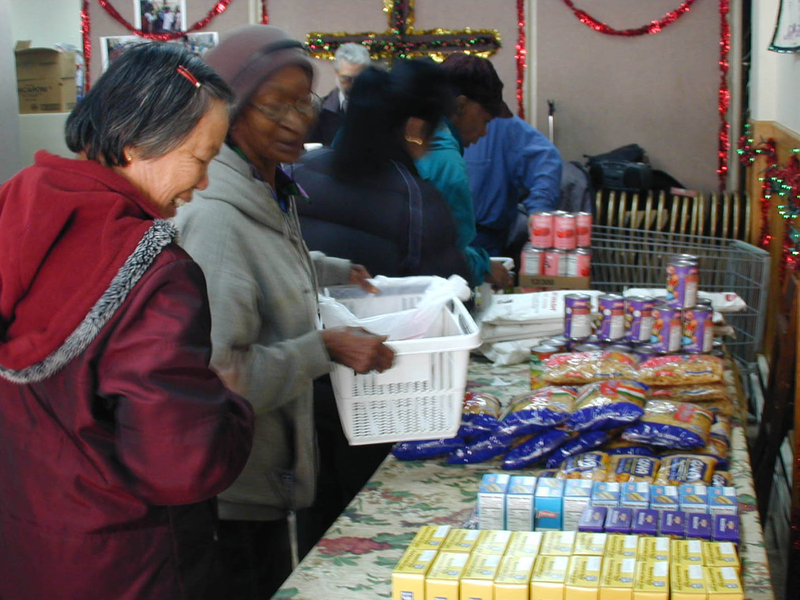 Since the program inception, we have assisted over 500,000 clients to access food stamps benefits. 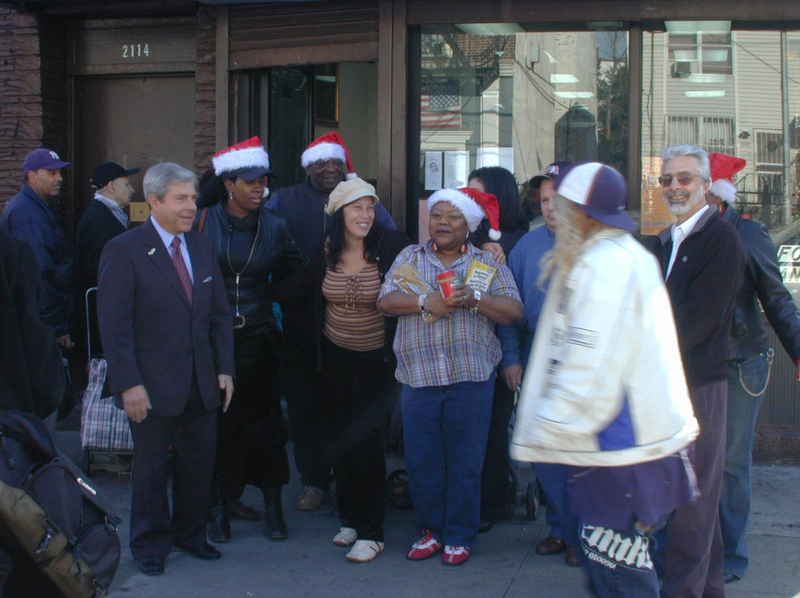 The Lighthouse Mission also conducts special outreach programs for holidays and distributes sleeping bags and blankets, clothing, and personal supplies to the homeless in Coney Island. We give out over 300 frozen Thanksgiving turkeys to families every year and distribute special Easter care packages to children every spring.